The formal launch of ‘Startup India, Standup India’ on January 16th was path-breaking. For once, here was an establishment promise that held sway beyond expectations. 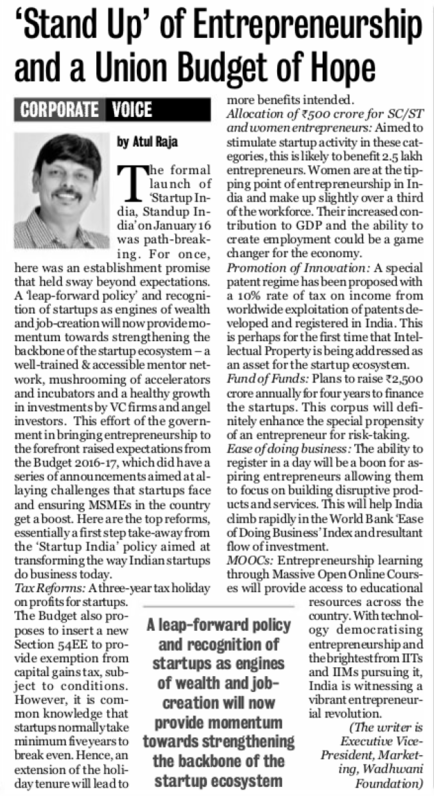 A ‘leap-forward policy’ and recognition of startups as engines of wealth and job-creation will now provide momentum towards strengthening the backbone of the startup ecosystem – a well-trained & accessible mentor network, mushrooming of accelerators and incubators and a healthy growth in investments by VC firms and angel investors. This effort of the Government in bringing entrepreneurship to the forefront of Indian economy raised expectations from Union Budget 2016-17. The budget did have a series of announcements aimed at allaying challenges that startups face and ensuring MSMEs in the country get a boost. Here are the top reforms, essentially a first step take-away from the ‘Startup India’ policy aimed at transforming the way Indian startups do business today. Tax Reforms: A three year tax holiday on profits for startups. The Budget also proposes to insert a new Section 54EE to provide exemption from capital gains tax, subject to conditions. However, it is common knowledge that startups normally take minimum five years to break even. Hence, an extension of the holiday tenure will lead to more benefits intended. Allocation of Rs 500 crore for SC/ST and women entrepreneurs: Aimed to stimulate startup activity in these categories, this is likely to benefit 2.5 lakh entrepreneurs. Women are at the tipping point of entrepreneurship in India and make up slightly over a third of the workforce. Their increased contribution to GDP and the ability to create employment could be a game changer for India’s economy. Promotion of Innovation: A special patent regime has been proposed with a 10% rate of tax on income from worldwide exploitation of patents developed and registered in India. This is perhaps for the first time that Intellectual Property is being addressed an an asset for the startup ecosystem. Fund of Funds: Plans to raise Rs 2,500 crore annually for four years to finance the startups. 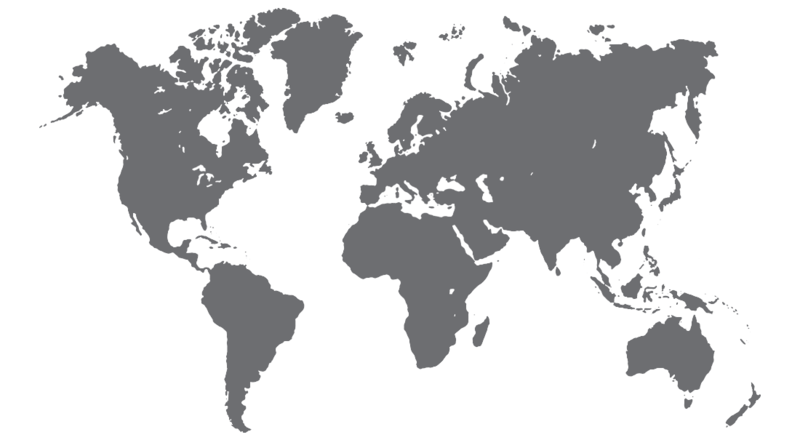 This corpus will definitely enhance the special propensity of an entrepreneur for risk-taking. Ease of doing business: The ability to register in a day will be a boon for aspiring entrepreneurs allowing them to focus on building disruptive products and services. This will help India climb rapidly in the World Bank ‘Ease of Doing Business’ Index and resultant flow of investment. MOOCs: Entrepreneurship learning through Massive Open Online Courses will provide access to educational resources across the country. With technology democratising entrepreneurship and the brightest from IITs and IIMs pursuing it, India is witnessing a positive and vibrant entrepreneurial revolution.